LONDON – Online shoppers will be able to instantly return unwanted internet purchases, with the launch this week of LOVESPACE’S new DELIVER AND WAIT service. Drivers in the company’s ecommerce fulfilment team will make their delivery as normal, but then wait for up to 20 minutes to allow the customer to try out their buys and then hand back any items they don’t want to keep. 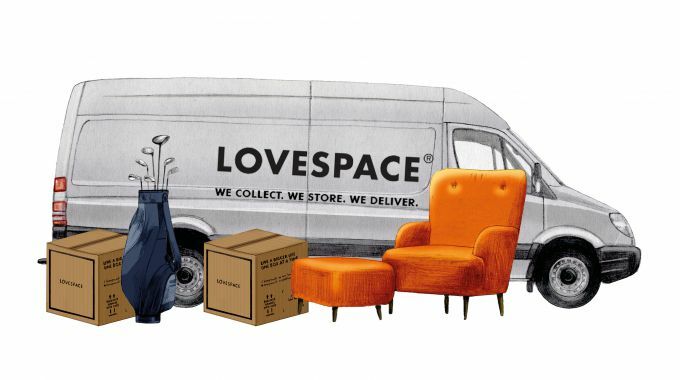 LOVESPACE, Europe’s largest storage and delivery network for consumers and businesses, is also kitting out its fleet of delivery vans with clothes hooks, digital mirrors and mood lighting, allowing customers to try on their purchases wherever they receive their delivery. The digital mirrors will allow shoppers to check stock for different sizes and colours as they try on their purchases, recreating the experience of shopping in some of the UK’s most exclusive fashion stores. Delivery drivers will be on hand to provide polite but honest feedback, with suggested responses ranging from, “Oh yes, that’s the one” or “Suits you, sir” to “That really is a bit last season” or “It’s a bit off-trend for my liking”. Customers keen for a second opinion will also be offered a video call with the company’s office-based customer service team, who will take a show of hands to help customers decide. The company is now working with Tydeligvis Falsk, the Danish shopping expert, to enhance the in-van try-on experience, with plans for velvet seating, mood-enhancing scents and neutral walls. “This is going to be better than shopping in Bond Street,” he said. The launch comes amid an acceleration in the use of ‘try-before-you-buy’ services that allow customers to order multiple items and return those they don’t want before they pay. However, the service will not be available to everybody. People who ‘look good in everything’ will be advised after their first use of the service that future deliveries will not qualify for the service.